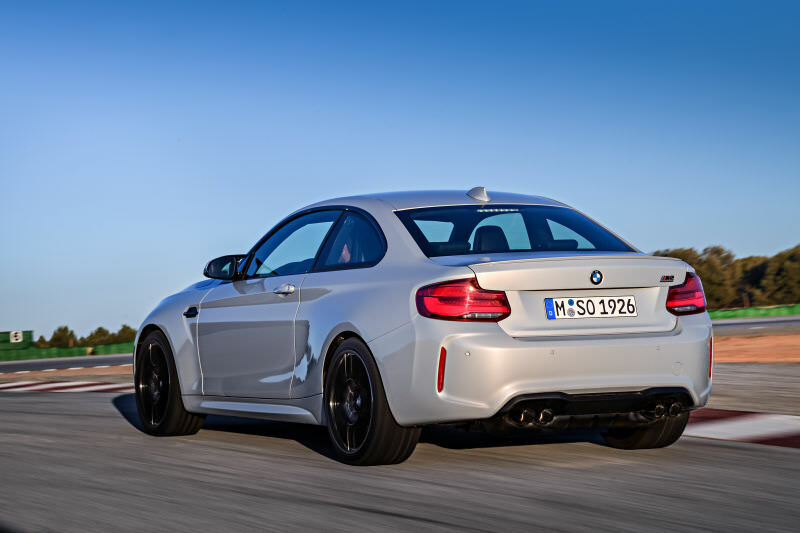 The BMW M2 is dead, but now there?s the BMW M2 Competition, which is better. Better in the sense that it?s the M2 Coupe but with the engine out of an M3 making over 400 horsepower. 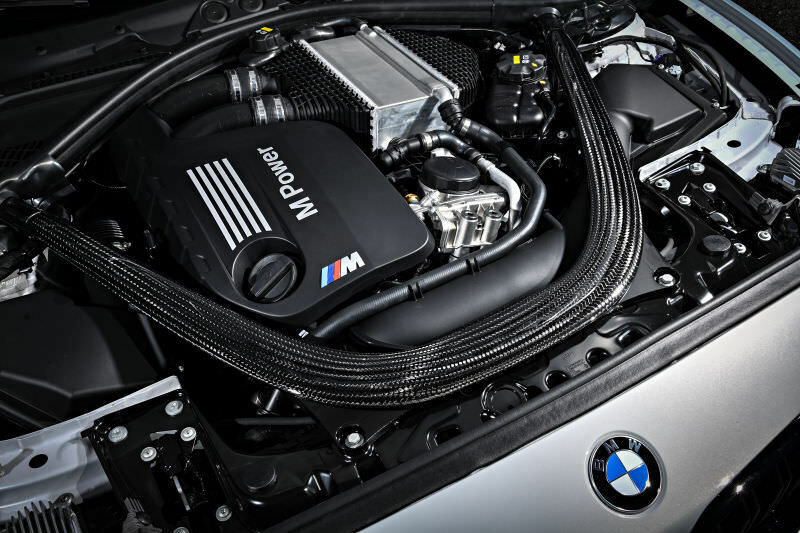 Where the BMW M2 Coupe always had a performance-tuned version of the N55 inline-six cylinder from the 2 Series, the new M2 Competition, which replaces the old M2 even though it?s essentially the same car, instead gets a detuned version of the S55-designated inline-six cylinder from the M3 and M4. Sure, they?re based on the same basic engine, but the switch from N55 to S55 means a jump from 370 horsepower to 405 hp, and 406 lb-ft of torque between 2,350 and 5,230 rpm. Zero to 60 mph is also now down to four seconds. The car is still available with either a six-speed manual or seven-speed DCT. Other details include a top speed of 174 mph with the M Driver?s Package, new M Sport seats, larger brakes in the front and rear, and a tweaked design up front with a tweaked bumper and bigger kidneys now painted black. There?s also new color options called Hockenheim Silver and Sunset Orange Metallic. The exhaust tips are now also black. Oh and, some of you will hate this, but the two new wheel options are either partially blacked out or fully blacked out. There?s also a bunch of driver assistance options that include collision and pedestrian warning systems, lane departure and speed limit warning and a rear-view parking camera. 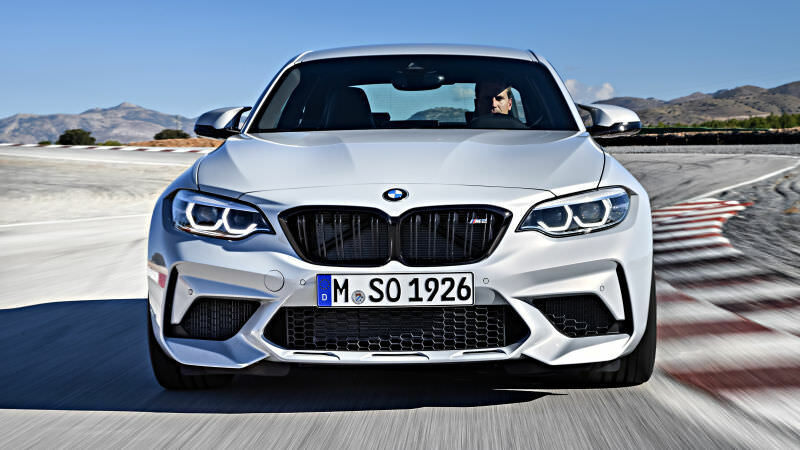 I may never plan on ever typing out ?BMW M2 Competition? ever again, because I can still just call it the M2, but it?s cool to see it get more power and a ?true? M engine. It was always good, and it?s still good.